Trabasack at a previous Naidex Exhibition. Naidex South is the homecare, disabilities and therapy exhibition for the South East and London which gives you the chance to test drive and try out the latest products and innovations in the social and health care sectors. The aim is to provide ideas and information of what is available for people who may have a disability, children with special needs, learning difficulties and long term conditions including arthritis, diabetes, dementia and autism. To help people find products services and organisations that will help them to live more independently. Taking place on 19th and 20th October at the Excel London Trade Expo, Greater London House Hampstead Road LONDON NW1 7EJ , Trabasack will be showing our very best products for anybody to try out and we’re happy to be joined by Guy Harris of DisabledGear.com who sells and markets fantastic wheelchair jeans and trousers. Another great feature of Naidex exhibitions is The Car Zone, an area dedicated to the showcasing and display of vehicles specifically adapted for wheelchair users. With the support of the Blue Badge Network, you can have a look at some fantastic vehicle options and find out if an accessible vehicle is something which could be a great option for you! The focus at Naidex South is independence and how technology can aid and develop the independence and personal freedom of those with disabilities. 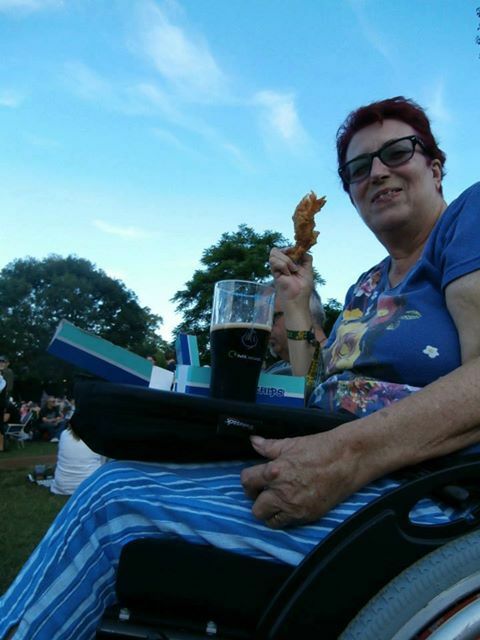 We at Trabasack feel very at home in the company of those at Naidex as we also support innovative and accessible technology, as our products clearly demonstrate! Come and see Trabasack at Naidex and say hello we will be very pleased to meet you! You’ll find both us and Guy of Disabledgear.com at stand C33. Click NaidexSouth for our full press release. AT Today, a new publication focussing on developments in the world of Assistive Technology has been published for the first time and is free to access online. Published in partnership by the British Healthcare Trades Association (BHTA) and The Homecare Industry Information Service (THIIS), AT Today is designed as a resource for professionals working in the marketplace. The magazine is being distributed both as a traditional ‘hard copy’ version and also made available online, where visitors to the site can read it on screen using a simple page turner system or download a PDF version. There’s a wide variety of content in the first issue, from the most sophisticated new products and research to the simplest new items around. The plan is for AT Today to cover the whole spectrum of the latest Assistive Technology developments with the latest robotic products appearing alongside the simplest items. For example, in the first issue there is a toilet seat from the USA which incorporates expandable seat arms that can be adjusted outward up to 12 inches to provide more room for greater comfort and support and can support up to 1,000 lbs. On the AT Today website there is a sign up for an alert when the latest issue becomes available and details of how to send your own news to be considered for future issues.